The dream of every permaculturist, is to cover every square inch of soil in cardboard; and start over from scratch. In fact, I used to have this dream myself. I have practiced this method extensively in a variety of conditions over the past few years. Although sheet mulching is effective 90% of the time, I have come across situations where I wish I would have gone another route. Sheet mulching looks great on paper, and it always sounds good to the folks doing the labor, but I have found in practice it can occasionally prove to be troublesome. This article is meant to address a few of those concerns. For those unfamiliar with this practice – Newspaper, cardboard, or a combination of both are applied directly onto unprepared ground to smother weeds. Topsoil and/or organic material are then applied thickly on top of this layer, and the entire bed is then mulched. 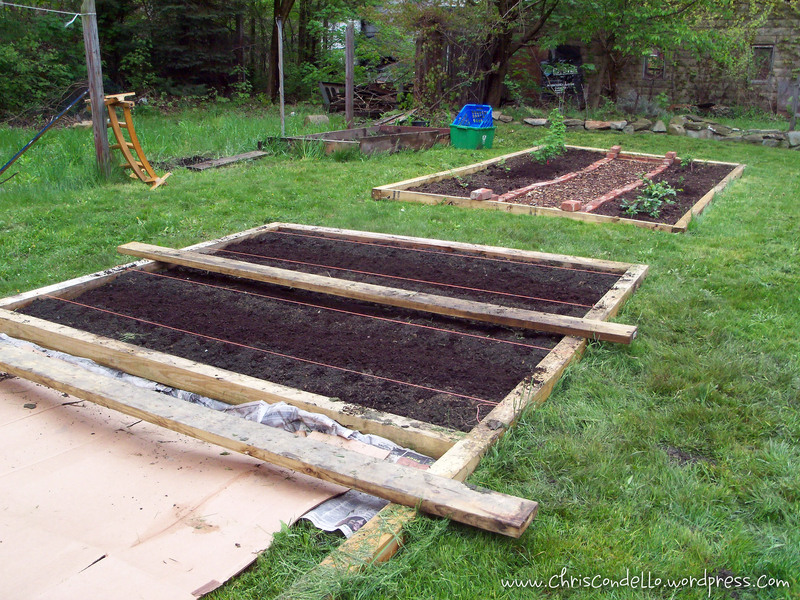 This is one of the quickest ways to install a garden, and get planting today. 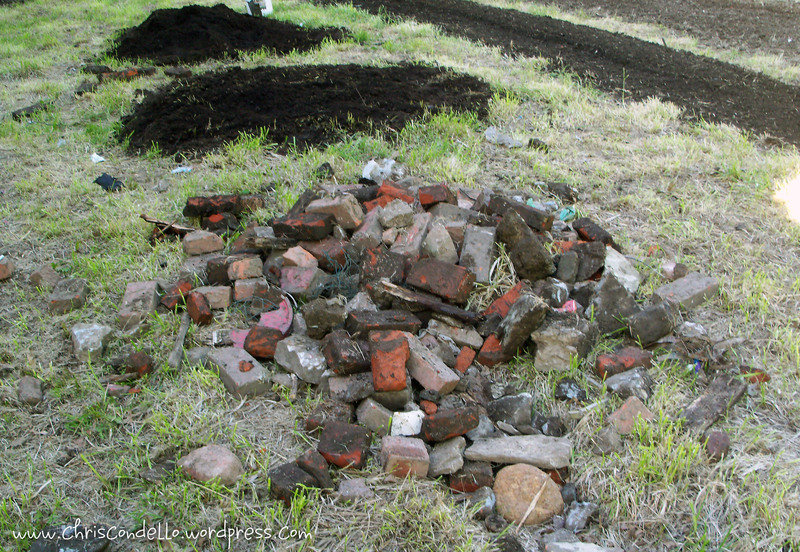 Sheet mulching is one method of a style of gardening known as no till gardening. Weeds and turf grass are another reason sheet mulching is commonly used. Ripping turf and pulling weeds are not the easiest of jobs, and 99% of the gardeners I have met would do anything to get out of doing them. And to be completely honest, this method is very effective at quickly eliminating weeds. The issue arises when you are dealing with very vigorous, perennial invasive weeds. Bindweed comes to mind, often crawling along the bottom of the cardboard until it finds an opening. The problem arises with removal of the now ten foot long root system, which in my personal experience is next to impossible. Part of the allure of sheet mulching is the little fact that it not only kills the existing weeds, it will eventually biodegrade. Although this is mostly a good thing, many perennial invasive plant can lie dormant long enough for this cardboard layer to weaken. The result being a massive root system, twice as deep as it would have been if you just pulled the damn thing in the first place. My advice, is to deal with the invasive weeds before applying the sheet mulch. Sheet mulching on a slope can also be problematic, and depending on the scale of the project; could be disastrous. Wet cardboard is surprisingly slippery, add a layer of mud and it is like ice. Any experienced contractor will tell you it is a bad idea to put fill on top of a sloped impervious surface. On a very large-scale, this is known as landslide. On the small-scale… Hmmm… Well… It’s still a landslide… Either way, it could be a liability. Slopes need to be handled differently than flat surfaces, the initial impenetrability of the cardboard is never accounted for. My advice, skip the sheet mulch when dealing with sloped surfaces. Speaking of impenetrability, I see photos of (and have even visited) gardens with fruit trees that have cardboard all the way up to the trunk. This is a bad idea, for at least a year after the cardboard is applied water absorption will be minimal at best. Trees utilize both the water found deep underground, and rain water accumulated at the surface. Cardboard and newspaper do not allow as much water to penetrate as one would think. Often, this newspaper is thickly covered in soil and mulch. Therefore, water must first saturate the layers of material above before it even touches the cardboard. Please, for the sake of your trees; don’t sheet mulch under your them. Many garden pests also to love sheet mulching as it provides cover from prey, and facilitates burrowing. Slug tend to love this paper/cardboard layer, if you didn’t have a slug problem before the sheet mulch; there’s a pretty good chance you will have one after it. Earwigs and ants also seem to love a good layer of cardboard, I regularly find massive colonies that follow the cardboard around the garden, almost like they use the space underneath as a sort of super-highway. Raccoons eventually realize there is a smorgasbord [type of Scandinavian meal served buffet style] hiding under there, and the rest is history. It is important to remember that this isn’t necessarily a bad thing, but could pose problems when done in close proximity of your home. 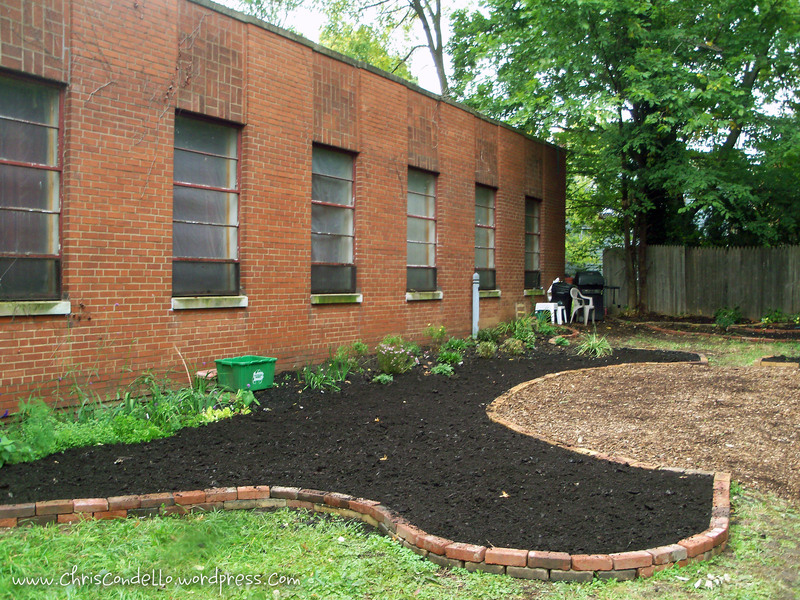 In closing… Sheet mulching is an effective way to create a garden quickly, and cheaply. I will continue to use this method in the future, just a little more cautiously than in the past. Many of the issues I discussed will probably be the exception, as opposed to the rule of the garden. As with any type of construction project, even the problems with a one in a million chance of happening need to be addressed. The same goes with your garden, at least if it has been considered; you will not be caught with your pants down. This entry was posted in Gardening, Guerilla Gardening, Permaculture and tagged ants, bindweed, gardening, invasive weed, native, no-till, organic, organic material, permaculture, pests, raccoon, rototiller, sheet mulch, till. Thanks for posting about the “side effects” of sheet mulching. I think it is extremely helpful to know the pros and cons in order to make the best decision about your particular situation. Thank you for sharing. Great information!